Posted by James Faucett on Monday, October 1st, 2018 at 10:39am. If your current or old brokerage has left you bewildered and haunted by all the promises and hopes of being a successful agent and yet you're still not where you want to be, it’s time to do the math and elevate your business! The numbers above speak for themselves. Our brokers SELL 8 TIMES MORE HOMES and have higher average list prices than the average real estate agent. On average, our brokers transactions are 39% Sellers and 61% Buyers. 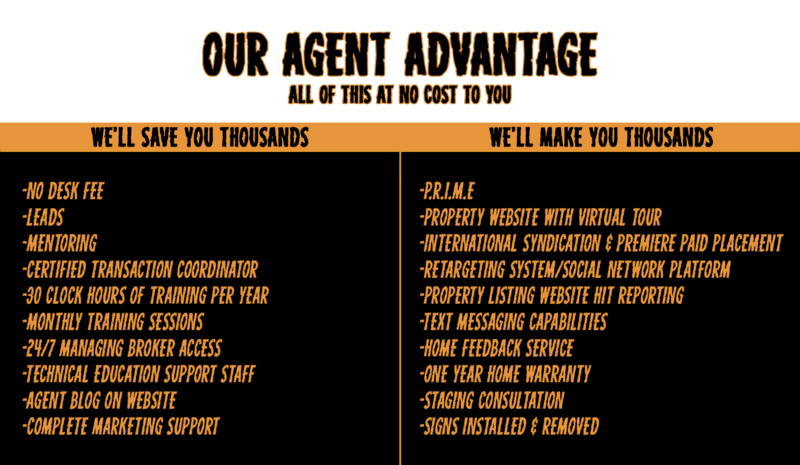 We are a full service company with a comprehensive marketing plan and offer great training and support for our brokers. Support is round the clock and you can reach a managing broker for assistance day or night with out 24/7 Broker Hotline. Here is your chance to be part of an innovative brokerage that's changing how things are done! Check out that list! We are built to help you sell more homes AND keep more money in your pocket. Brokers at The Cascade Team SAVE THOUSANDS of dollars with no desk fees, free transaction coordinators, plenty of free clock hour courses, free sign installations, and free professional photography for your seller clients.